Despite more women studying STEM subjects (Science, Technology, Engineering, and Maths), when it comes to jobs in these fields, the gender gap remains wide. There are various reasons for this gap: Girls are often less encouraged to go into STEM fields; jobs in this industry tend not to be very flexible and are therefore perceived as less family-friendly; and there is a distinct lack of female role models in these fields. Moreover, in computer science the trend is going in the wrong direction. While 37% of all computer science graduates in 1984 were women, in 2015 that number had dropped to just 18%. Despite these discouraging statistics, it’s not all doom and gloom for girls and women who want to work in STEM fields. There are hundreds of dedicated and inspiring programs that are tackling the issues women face in these fields, working towards a gender balanced future in STEM. Based in the US, the Scientista Foundation was started in 2011 by two sisters, Julia and Christina Tartaglia, while studying at Harvard. Both sisters majored in biology and noticed a lack of resources, role models, and community for women in science. They decided to create a network of Scientista chapters across campuses around the country to support women in STEM through content, community, and conferences. After winning a Harvard Tech Prize, they launched their platform Scientista.com, a one-stop resource for female college students and graduates in science and technology. Over 30 campuses have since joined the network, and major organisations including Microsoft, NASA, and The Huffington Post have partnered with Scientista. With automation and technology on the rise, the gender gap is also proving to be an economic problem. The Mind the Gap Project addresses the gender gap in EU countries, where it is estimated that an extra 1.3 million jobs for people with technical skills will have to be filled by 2020. At the current rate of graduates in these fields, the EU will be faced with a huge shortage of talent in a few years. To make up for this shortfall, more women need to be brought into these sectors. The Mind the Gap project is an alliance of partners from the UK, Netherlands, and Spain that are promoting STEM subjects to women by training teachers and supporting girls throughout their education. Girls Who Code is a non-profit program that tackles the problem of girls dropping out of technology subjects at an early age. While interest in computer science decreases over time, the biggest drop off takes place between the ages of 13 and 17. Girls Who Code run two types of programs: a summer immersion program and after-school clubs where girls can explore coding in a fun and friendly environment. Their results have been impressive. Since 2012, over 10,000 girls have taken part in their programs and many have gone on to study computer science at some of the most prestigious universities in the US. Girls Who Code has also partnered with over 60 companies who have pledged to hire their alumni, and many are creating paid internships and other opportunities for the girls. Million Women Mentors is an organisation addressing the lack of female role models for students and graduates. Their mission is simple yet powerful: to recruit one million mentors (male and female) for girls and young women in STEM by 2020. Mentors can sign up on their website to become partnered with girls around the US and, increasingly, worldwide, and have been recruited from over 60 partners and 60 corporations. MWM have given mentors the tools and training to support and encourage over 30 million girls to pursue STEM careers. The AAUW has a long history of empowering women at universities. Founded in 1881, the organisation has helped level the playing field for women for over 130 years. One of the AAUW’s main areas of focus is building a STEM pipeline for girls and women. Their approach is practical and starts with researching the problem. They believe that only by understanding the environmental and social barriers that girls and women in STEM face can the system be changed. Instead of providing in-class solutions, the AAUW runs community projects that break down gender stereotypes to foster girls’ excitement for STEM projects. Furthermore, they are one of the largest sources of funding for graduate women in the US. OWSD offers scholarships for women in the least developed countries as well as awards to celebrate the achievements of early career women scientists. They also create networking opportunities for over 4,000 members and help girls with career development from high school through to graduate school. Founded by first-generation American women who had all been the first in their families to attend college, this US-based program aims to inspire and empower middle and high school Latinas to pursue a career in STEM. The barriers that exist for all women in STEM are compounded for Latinas for many reasons, including the acute lack of role models. Working mainly in underserved communities, the program takes an interesting approach by not only educating and informing the female students but also by involving their parents to help them better support their daughters. Their secondary goal is to help Latina college students and professionals thrive in STEM through networking, recognition, and mentorship. Founded in 1994 by computer scientist Dr. Anita Borg, her mission was to break through the ‘silicon ceiling’ in technology. Borg was an early innovator in this field. In 1987, she founded Systers, the first email network for women in tech. ABI works with leading academic institutions and Forbes 500 companies in over 50 countries, connecting and inspiring women in all areas of technology. Girl Geek Dinner takes a slightly more casual approach than others. Founded by a British self-proclaimed girl geek, who was frustrated by often being the only woman at technology networking events, even sometimes being questioned as to why she was attending, she decided to tackle the problem over dinner. What started in 2005 in London has since turned into a worldwide movement. The idea is to bring tech networking into a casual, informal setting where women feel more comfortable talking and interacting. Men are also part of the dinners, but male attendees must be invited by a woman attending. 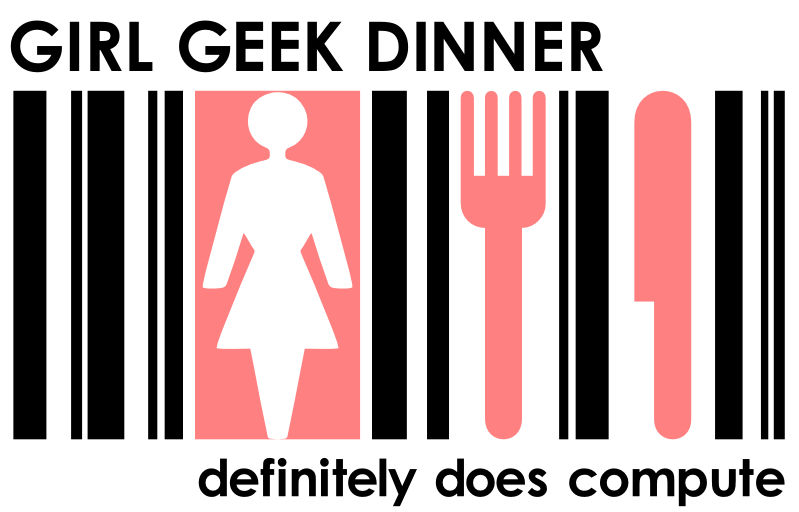 The long-term vision of Girl Geek Dinners is to bring the format into schools, colleges, and universities worldwide to encourage girls to follow their passion for STEM subjects. While education, mentorship, and networking are at the forefront of most organisations listed here, Golden Seeds instead concentrates solely on investment. The New York and Silicon Valley based Angel investment firm seeks and funds high-potential businesses and tech startups led by women. This makes good business sense, as it has been well-documented that a high rate of gender diversity in teams increases return on equity. Since 2005, Golden Seeds has raised and invested over $90 million in almost 90 female-run startups, many of them in the tech industry. There are still huge obstacles to overcome before we reach gender equality in STEM education and careers. However, incredible programs like the 10 above are working hard to close the gender gap, making it easier for girls and women to succeed in technology and science classrooms and boardrooms alike. Do you know any other organisations like these? Please share them in the comments below. Jennifer, This is a really great list! Thanks for sharing. You might consider adding NEXT.cc’s E-Learning Designopedia (www.NEXT.cc) offers free STEAM activities, delivers workshops, and teacher professional development demystifying STEM careers and nurturing curiosity and wonder of the built and natural worlds. See our 6th grade CPS Girls Green Cities (https://youtu.be/MTD1S892TaE) and Folding Flying Fanning and Forming Fun (https://www.youtube.com/watch?v=XJS6IEHL5h4) Workshops held at The School of the Art Institute of Chicago and partnered with Chicago Chapter of American Insitute of Architects mentors and Chicago Publis School Girls. I totally agree with these points, In 21st Century there are still lot’s of gender gap we can see specially in Mechanical, Electrics field. But In Country like India, there are lots of percentage gain Girls employees in IT Industries..! As you mention really effective programs which can reduce gender gap in science and technology industries..!